Ready for a tub to walk in shower conversion in Evergreen, Colorado for yourself or a loved one? You are ready to take the steps to remove the #1 safety hazard from your bathroom; your standard bathtub, but what happens next? If climbing over the lip of your standard tub to enter and exit and trying to ease yourself down gracefully into a tub are no longer safe options for you, there are a couple of choices available. Some folks are not willing to give up bathing. If soaking in a bathtub is still one of your treasured relaxation activities, then a walk-in bathtub may be your best option. Many people prefer the safe efficiency of a walk in shower. Whatever you select, Independent Home Products, LLC can help. We have been completing tub to walk in shower conversions for Evergreen homeowners for more than 12 years. Our expert Evergreen walk-in shower installers can have your conversion complete within a couple of days. Simply call (888) 353-1314 today to get started. Free Evergreen Tub to Shower Consultations. The bathroom safety pros at Independent Home Products, LLC offer service nationwide. 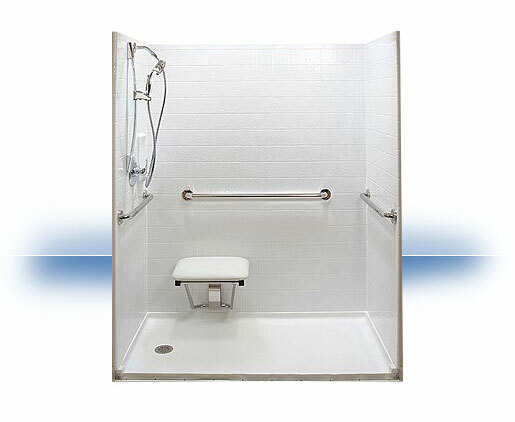 We've got walk-in shower installers in Evergreen who convert bathtubs to walk-ins with ease. They are ready to schedule an in-home consultation with you. We offer free consultations to homeowners. During this initial meeting, we will listen to your concerns and goals and take measurements of your bathroom space. From there, you will be appraised of available bathing options that make sense for you. Should you decide to purchase a walk-in shower for your Evergreen home from Independent Home Products, LLC, we'll make the transaction as simple and straightforward as possible. You will have the ability to explore styles and options and choose the walk-in shower to fit your needs and your budget. Once delivered, Independent Home Products, LLC will send the technician back to your Evergreen home to convert your tub into a walk-in shower. Just give us a call to get started at (888) 353-1314.